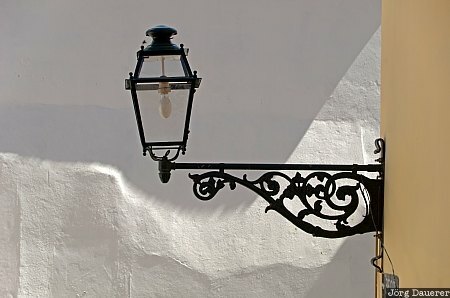 A street lamp in the Alfama district of Lisbon. Lisbon (Lisboa) is the capital of Portugal. This photo was taken in the early afternoon of a sunny day in April of 2011. This photo was taken with a digital camera.